What style is the inspiration for the two films, “The Chinese Connection” (with Bruce Lee) and “Legend” (with Jet Lee)? Want a hint? 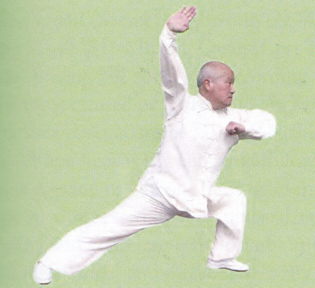 This style is associated with Kung Fu Master Huo YuanJia, Head Instructor of the famous Ching Woo Association. Ok, so the title of this post gives it away. Of course, you might not have known this because it is rare to see a new book and DVD in English on Mizong Quan (Lost Track Boxing), and even less common to have such a work on the important Jia, or Structure, form. 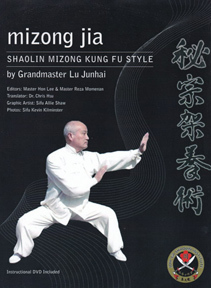 Which is why Plum is proud to announce that we are publishing a new work on Mizong by Sifu Lu Junhai—a full-color instructional text packaged with a 50 minute DVD. This is one of the few books and DVDs on Mizong published in English (the DVD is in Chinese, but well-subtitled). The text is clear, and the DVD contains at least 30 minutes of applications, another rarity these days in martial literature. You can click HERE, or on the image, to go to the book page and read more about this work, and why the Jia Form is such a crucial form for Mizong practitioners. Posted March 12, 2017 by Plum Staff. Comments and trackbacks are open. Follow the comments feed. Tagged with: Bagua, Huo Yuan Jia, Long Fist, Long Fist Kung Fu, Lu Zhen Duo, Mi Zong, MiZong, Shaolin, taiji, Xing Yi, Yan Qing, Yan Qing Quan.